Falcon is a complete line of pro-level hardware with the features and conveniences needed by pros in the studio, on tour, or in the woodshed. The Falcon design was influenced and road tested by a team of artists who want an incredibly smooth feel and simple adjustability. The settings are dialed-in at the factory, so it feels good right out of the bag with only minor adjustments needed to fit individual tastes. That means more time playing and less time adjusting. 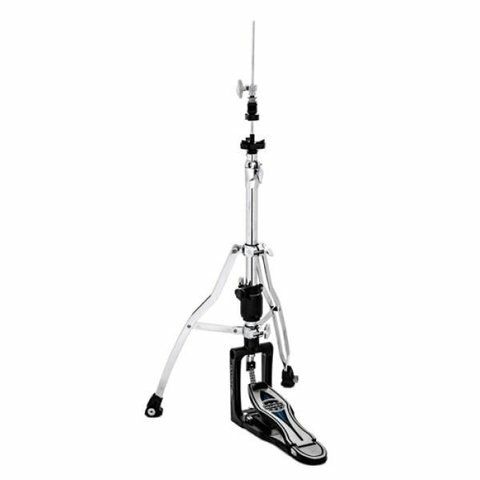 This pro-level hi-hat is a new breed of stand, putting the emphasis on functional simplicity and an incredibly smooth feel.